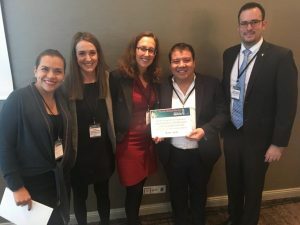 Director of Pro Bono Partnerships Jorge Escobedo traveled to Brazil, Uruguay, and Argentina to meet with key partners in the Pro Bono Network of the Americas and promote the Vance Center’s “Keep Families Together” initiative. He also accompanied Executive Director Alexander Papachristou to a pro bono forum in Germany. In Brazil, Escobedo met with member firms and staff of Instituto Pro Bono, the Brazilian pro bono organization, to present the Vance Center’s various programs and activities. He also discussed best pro bono practices with pro bono coordinators from several Brazilian law firms, including: Demarest Advogados, Koury Lopes Advogados, Machado Meyer, Mattos Filho, Schmidt Valois, Siqueira Castro, Tozzini Freire Advogados, & Tauil & Chequer. In Uruguay, Escobedo met with Dean Nicolás Etcheverry and Vice Dean Miguel Casanova of the Faculty of Law at the University of Montevideo and partners of several Uruguayan law firms, including Guyer & Regules and Hughes & Hughes, all of whom are working to set up an Uruguayan pro bono clearinghouse. Escobedo also presented on the “Keep Families Together” initiative to law students and firm associates. In Argentina, Escobedo participated in Comisión de Trabajo Pro Bono’s celebration of the 18th anniversary of its founding, as well as the 10th anniversary of the launch of the Pro Bono Declaration for the Americas. 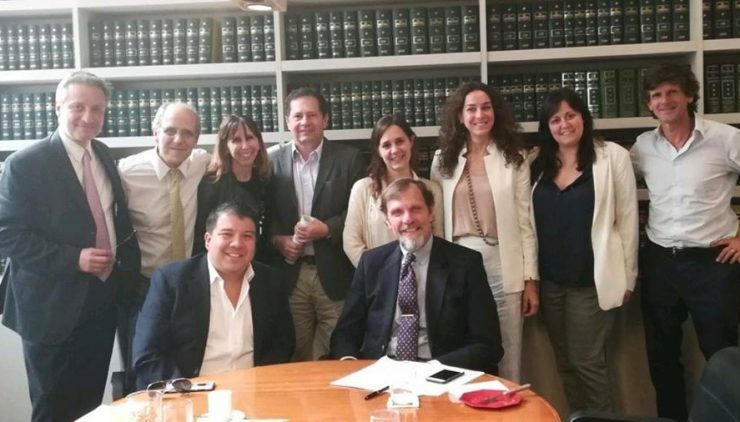 He also met with deans of various law schools and other pro bono actors in Buenos Aires to discuss the role of pro bono practice in legal education, including: Martin Federico Böhmer, Gonzalo Vayo, Martin Zapiola, and Juan Pablo Vigliero. On the other side of the globe, Escobedo and Executive Director Alexander Papachristou attended the 2018 PILnet Global Pro Bono Forum in Berlin, meeting law firm and civil society representatives from Africa, Asia, Latin America, and Europe. Escobedo moderated the panel “Establishing a Clearinghouse: How to Pioneer a Collaborative Initiative to Maximize the Development of Pro Bono Work”. Escobedo’s Vance Center predecessor and current executive director of Fundación Pro Bono España Leire Larracoechea and Centro Pro Bono Mexicano executive director Ivette Montero were among the panelists. The discussion focused on launching clearinghouses in legal markets where pro bono practice is unfamiliar.